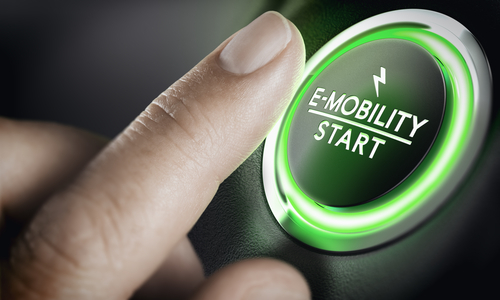 The period for comment on three new GB standards relating to electromobility has recently ended and the standards will soon be approved for publication by the Ministry of Industry and Information Technology. With that the standards will also receive their official names, which have not been determined yet. The three areas that will be covered by these standards are safety requirements for batteries, electric buses and electric cars. With regard to batteries, the standard lays out safety requirements for several aspects. In order to fulfill these requirements, various testing procedures are detailed for example relating to over-charging, short-circuiting and overheating. Additionally, there are also different tests regarding external shocks like vibrations, a simulated collision or water immersion. The standard for battery safety requirements, which is meant to upgrade the existing standards GB/T 31485-2015 and GB/T 31467.3-2015, will come into effect on July 1, 2020. Already certified products have to comply with the new standards by August 1, 2021. The same timeline will also be used for the new standards for electric buses and electric cars. Regarding electric buses, the safety requirements and their respective tests revolve around water- and dustproofing, fire protection, structural integrity and safety during the charging process. The new standard for electric vehicles, which builds on the existing GB/T 18384-2015 standard, focuses on electric shock protection and waterproofing. You are already active in the Chinese market and want to learn more about how the new regulations affect your business? Then please do not hesitate to contact us. We are happy to advise you on the new regulations in detail and individually for your needs. We also offer original versions of the Chinese regulations as well as translations. You can also check out our free CCC-Brochure, which can be downloaded right here as a PDF file or you consult our book (in English) “A Brief Guide to CCC: China Compulsory Certification”, which can be found directly here on Amazon.